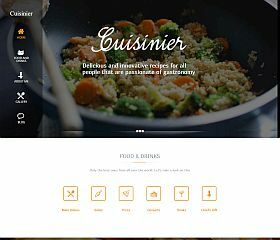 Cuisinier is an elegant, yet bold and artistic theme for food bloggers who want both functionality and versatility with their site or blog. With multiple custom features and a modern design, it’s sure to capture the attention of your visitors. 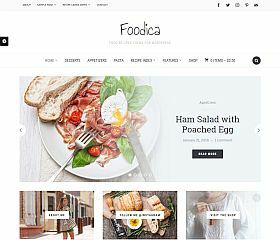 Foodica is a clean and modern WordPress theme for food blogs, recipe sites, and blogs in the culinary and cooking field. 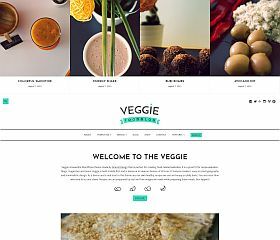 Veggie is an excellent theme for anyone in the food or culinary field – with a clean and modern design that was built to capture the attention of your visitors. 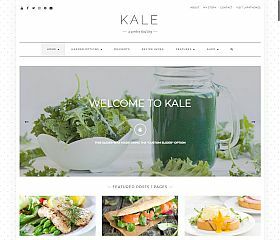 Kale was designed for food bloggers who want to share articles, recipes, posts, or any other content with a modern, ultra-minimalist, and clean designed theme. Features: powerful recipe index optimized for Google rich snippets, built-in advertising, homepage banner/slider, multiple post layouts, SEO optimized, and theme options panel for customizing elements like fonts and colors. 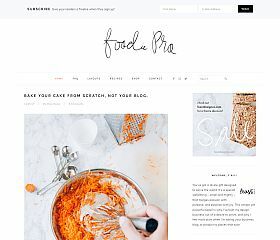 Foodie Pro is a clean and professional child theme for the Genesis framework for WordPress, and built for food bloggers. Featuring an ultra clean and simple design, this responsive theme can be customized to suit your needs – from fonts and color schemes to layout options, it’s all included in this robust food blog theme. 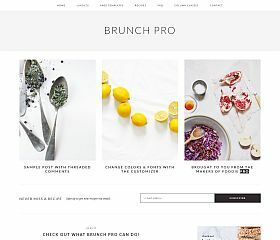 Brunch Pro is a child theme for WordPress that runs on the Genesis framework – featuring one of the cleanest and most clutter-free designs you may come across. 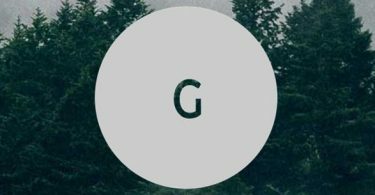 Ensuring the best in security, coding, performance, speed, and SEO – this theme (and Genesis) will provide an amazing foundation – whether you’re running recipes site or a food blog. 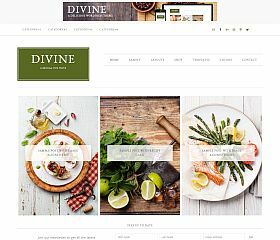 Divine is a child theme for the Genesis framework for WordPress, and been tailored to your needs – with a sophisticated, stylish, and elegant WordPress theme that conveys professionalism and a beautiful design suited particularly well for food blogs. Features: Banner ad placements built-in, responsive and mobile-friendly design, customization options, and a powerful theme options panel – it’s a theme that stands out from the rest. 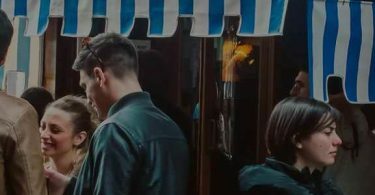 There are a lot of people who love cooking, food, or anything that relates to dining – and nearly as many people that have such an interest and fascination that they want to blog about it as well. With popular food blogs like iamafoodblog and Pinch of Yum, their attention and traffic has encouraged even more people to start blogging about food. Fortunately, when it comes to WordPress themes – there are plenty of food blog designs to choose from. Whether you’re wanting a clean and minimalist look to your site, or you want a full-featured magazine-style theme – you’re bound to find a design with the look and options you want. Here we have rounded up some of the best, giving you everything you might need to become the next food blogging superstar.